Home / NEWS / The 2018 Golden Globe Nominations! Snubs! Shocks! Christian Bale! Vice! Handmaid’s Tale Snub! and more! The 2018 Golden Globe Nominations! Snubs! Shocks! Christian Bale! Vice! Handmaid’s Tale Snub! and more! The Golden Globe nominations were announced today and it gave a nice edge to Vice and Green Book. The Globes are not the best indication of who will get nominated for the bigger and more prestigious Oscar, those are reserved for SAG or PGA but it does give people an edge. Vice had a strong showing as did Green Book. Rosamond Pike got a surprise nod as did Nicole Kidman for her role in Destroyer! First Man got all but shut out, and where was Ethan Hawke? On the TV Side, This is Us was snubbed, Westworld only getting one nom… and come on… No Handmaid’s Tale for best drama? That’s a head slapper. The Fresh Prince Of Bel-Air Is Getting Rebooted! Will Smith Back As The Executive Producer! 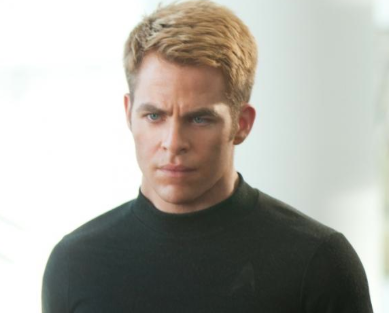 2 New Hot Star Trek Into Darkness Promo Stills Are Released! Chris Pine! Zachary Quinto! Benedict Cumberbatch! Sweet! Penny Dreadful Sneak Peak! Check Out The Teaser For The New Showtime Series! Eva Green! Josh Hartnett! Cancellation Bloodbath! 20 Television Series Have Been Axed! Is Your Favorite On The List? RIP Southland! Body Of Proof! Deception! Happy Endings! Touch! Smash! And More! I’m confused as to why Green Brook is nominated for best musical or comedy, but A Star is Born and Bohemian Rhapsody are both nominated for best drama.